Any other bulgogi fans out there?? 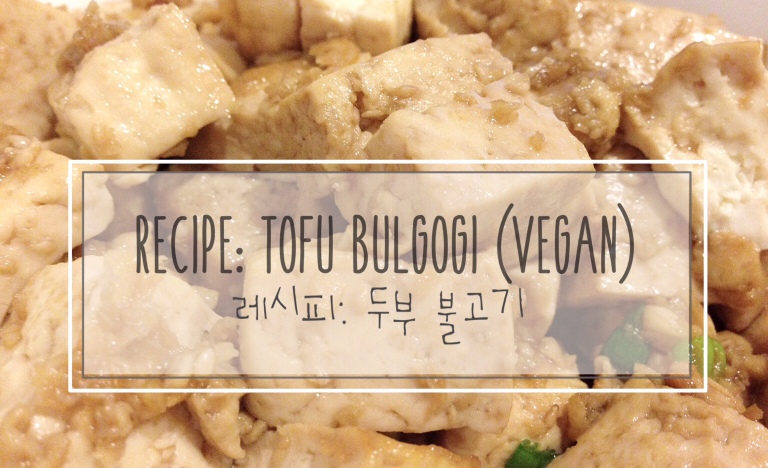 I personally love it, so I was so excited when I saw this recipe for tofu bulgogi on Seonkyoung Longest’s YouTube channel and had to try it out immediately! I decided to make a post showing all of you what I eat in a normal day. I definitely do not think my diet is perfect, but I try to stay away from oily and heavy foods, but as you will see, the foods that I eat are definitely not 100% healthy. I decided to take pictures of the foods that I ate throughout the day and here they are! Tofu is one of my favorite foods and miso is one of my favorite flavorings, so this pan fried miso tofu recipe is just amazing! It not only tastes great, but it’s also super healthy! You can enjoy this as your main meal or as a side dish! If you have ever heard of K-pop, the first thing everyone notices is how freakin’ skinny every girl is. Their job requires them to have a super slim body even though it may be very unhealthy. Although most diets are known to be extreme, there are still a few out there that are a pretty healthy way to lose weight. Here I will tell you about all the different types! 5:3:2 refers to the ideal leg ratio. This workout was introduced by the K-Pop girl group, Girls’ Generation SNSD (소녀시대). Girls’ Generation members are famous for their perfect bodies, but you can follow this workout to get the ideal leg shape!